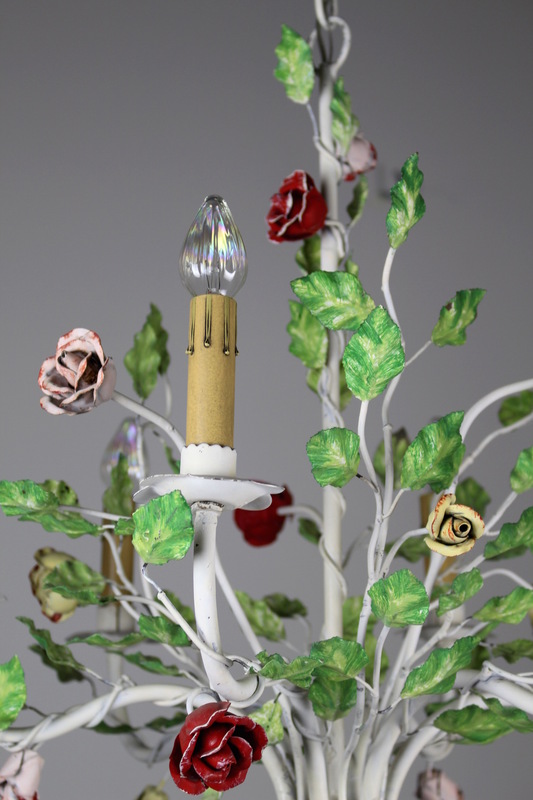 This is a super cute and kitschy Mid-Century light, circa 1955. 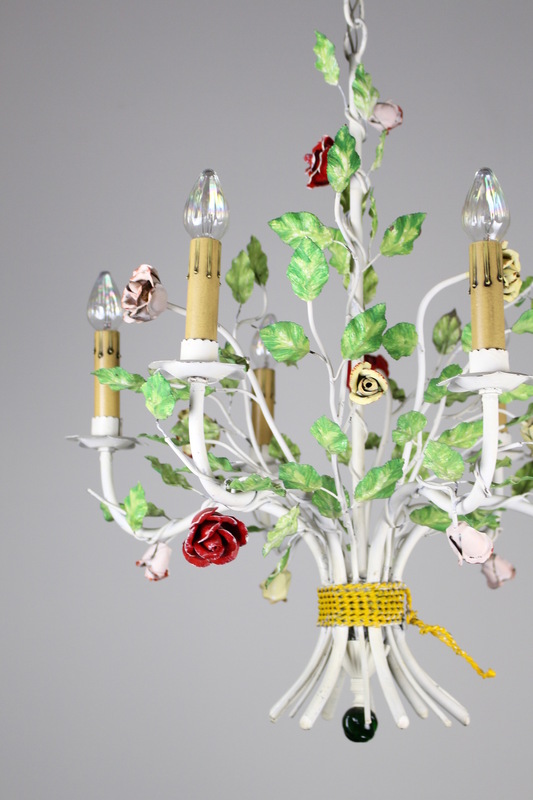 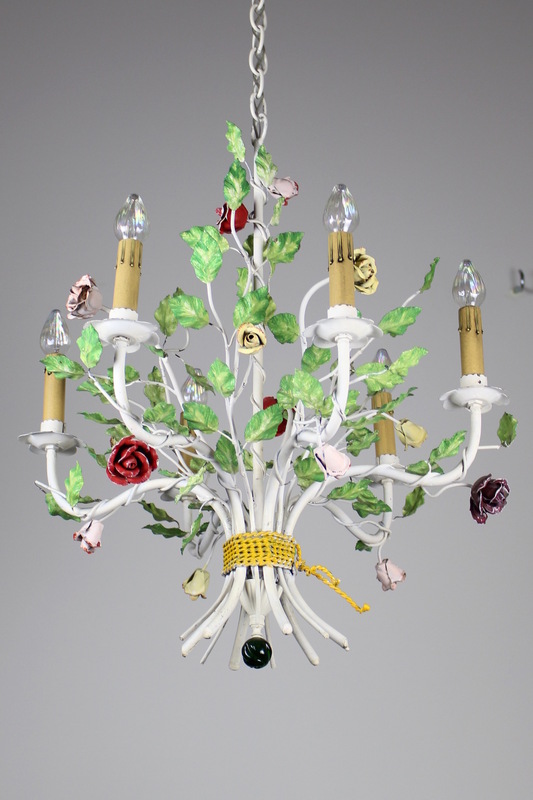 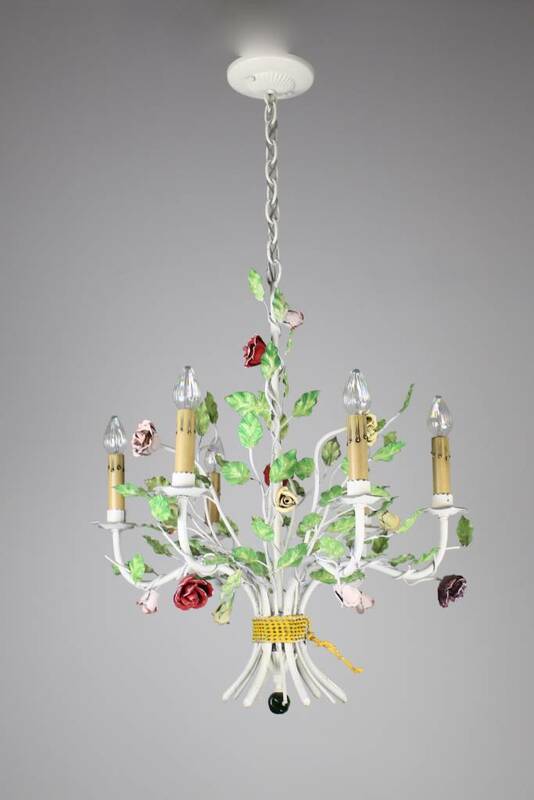 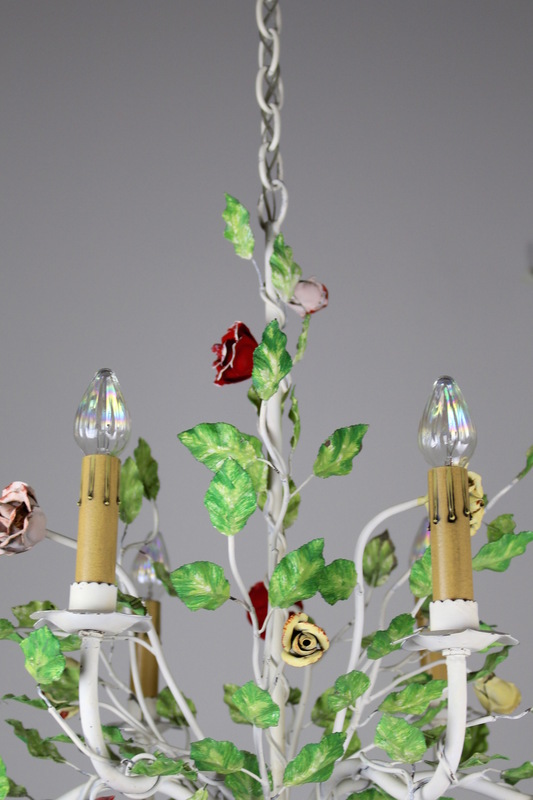 Possibly Italian, this six-light chandelier has been formed into a bouquet of colorful roses. 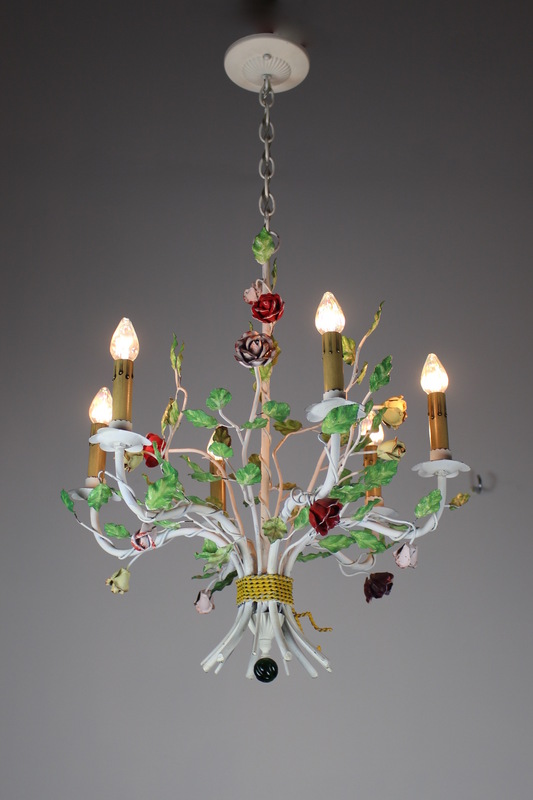 A darling and fun light, totally restored and rewired ready to hang. See more: Antique Ceiling Lights, Antique Lighting, Antique Pendant Fixtures.